Do you dream of a more beautiful smile? Make an appointment for a cosmetic dentistry consultation with Dental Group West. When it's time for your next dental checkup, visit Dental Group West for complete general dental care. We don't want dental anxiety or discomfort to come between you and health, which is why we offer IV oral sedation. Are you tired of living with an imperfect smile? Dental Group West makes it easier than ever before to transform your teeth into your dream smile. As a cosmetic dentist in Toledo, we offer an array of effective cosmetic procedures to drastically enhance the appearance of your smile. After performing a consultation and discussing your desired results, we will provide a comprehensive treatment plan to give you a smile makeover. 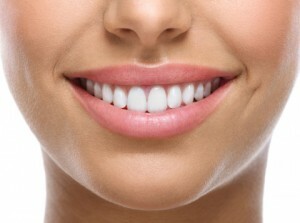 You will achieve high-quality results using the best advancements in dentistry to gain a confident, attractive smile. Healthy smiles sparkle at Dental Group West, your Toledo cosmetic dentists. Dental Group West in Toledo, OH focuses on comprehensive, restorative and cosmetic dentistry, offering everything from dental implants to the newest lithium disilicate and ziconium crowns to teeth whitening and bonding. Whether it’s a complete smile makeover, or just tweaking the appearance of a few front teeth, the Dental Group West team provides quality, compassionate care. When you think of smile makeovers, an expensive bill may loom large in your mind. Lots of costly procedures, multiple appointments–that’s what cosmetic dentistry in Toledo involves, right? Comments Off on Healthy smiles sparkle at Dental Group West, your Toledo cosmetic dentists. Minor cosmetic imperfections can have a big impact on the appearance of your smile. Even the healthiest smiles can sustain chips, cracks, discoloration, and decay. If you have tiny defects that keep you from smiling confidently, you should consider the cosmetic bonding solution. Cosmetic bonding is a popular cosmetic dentistry option because it can repair teeth with little, if any, effect on the natural enamel and dentin. Cosmetically bonded teeth look and feel just like natural teeth too. If you’re ready to renew your smile, schedule a cosmetic bonding appointment with Dr. Thomas, Dr. Poole, or Dr. Weisenburger at Dental Group West today. Dental Group West is a trusted cosmetic dentistry, now proudly repairing smiles daily throughout Toledo, OH, Bowling Green, Sylvania, Oregon, Perrysburg, and the surrounding communities. Cosmetic bonding consists of special tooth colored resin, expertly applied to a damaged tooth, and then hardened with a special curing light. Bonding materials are made from high-density modern plastics like composite resin and porcelain. These materials mimic the natural color of your teeth and can be designed to perfectly match the surrounding teeth, making it almost impossible to discern that a tooth was ever damaged at all. Can Cosmetic Bonding Fix Your Smile? Cosmetic bonding is one of the easiest and least expensive of all cosmetic dentistry procedures. Unlike porcelain veneers and dental crowns, cosmetic bonding can be completed in just one visit without any anesthesia required. Get your smile fixed fast; schedule the cosmetic bonding appointment you need with Dr. Thomas, Dr. Poole, or Dr. Weisenburger at Dental Group West today. Dental Group West is a leading cosmetic dentistry, now proudly renewing smiles daily throughout Toledo, OH, Bowling Green, Sylvania, Oregon, Perrysburg, and the neighboring areas. Would you like to impress your family and friends this holiday season with a dazzling new smile? If you want a teeth whitening treatment that works effectively the first time, and won’t irritate your sensitive teeth and gums, you should make an appointment with Dr. Thomas, Dr. Poole, or Dr. Weisenburger at Dental Group West today. Their take-home teeth whitening trays are easy to use and can whiten your teeth by several shades before your next holiday gathering. Dental Group West proudly serves patients throughout Toledo, OH, Bowling Green, Sylvania, Oregon, Perrysburg, and the surrounding communities. 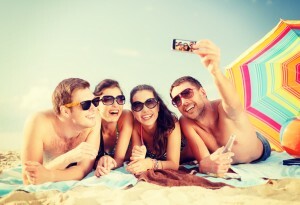 Holiday Teeth Whitening Options: Which Is Best? Teeth Whitening Toothpastes– Teeth whitening toothpastes can’t deliver on their teeth whitening promise. These toothpastes don’t contain the bleaching agents necessary to whiten your enamel. They can only polish away the shallow surface stains you may acquire during the day. If you do choose to use whitening toothpaste, it’s best to do so as a way to maintain the whitening results of a more effective treatment. Over-the-Counter Teeth Whitening Products– These products can come in many varieties including whitening strips, gels, rinses, or whitening trays. However, it can take many weeks of daily use for these treatments to have the same whitening effects of professional whitening products. Additionally, these products contain harsh chemicals that may irritate your teeth and gums. Professional Take-Home Teeth Whitening– Dental Group West offers a quick and easy professional teeth whitening solution with their take-home whitening trays. These customized trays can be worn at home at your leisure, and will effectively whiten your teeth without causing gum discomfort or irritation. In some cases, deep staining and severe discoloration may need to be treated with dental veneers or dental bonding. Only an experienced cosmetic dentist can make that determination. To avoid the frustration of using a teeth whitening treatment that doesn’t work, make an appointment with Dr. Thomas, Dr. Poole, or Dr. Weisenburger at Dental Group West today. Dental Group West proudly restores smiles throughout Toledo, OH, Bowling Green, Sylvania, Oregon, Perrysburg, and nearby areas. A missing tooth can cause you to miss out on enjoying your life. It can affect your willingness to laugh and smile or eat the foods you love. To replace a missing tooth permanently, you have two basic choices, either a dental bridge or a dental implant. It’s important to get all of the facts before you make such a big decision as permanently replacing a missing tooth. A missing tooth should be replaced to protect your other teeth from moving, and to preserve your bone and jaw structures.The dentists at Dental Group West want to help you restore your smile in the least painful manner possible. Contact their Toledo office today to set up a Sedation Dentistry appointment to replace your missing tooth and restore your smile. A dental bridge is a frame with two attached dental crowns and a replacement tooth (pontic) in the middle. The crowns are fitted over the adjacent teeth of the missing tooth. To fit the crowns, the adjacent teeth must be shaved down and the pontic is positioned in the gap over the gums. Besides adversely affecting the adjacent teeth, dental bridges do not replace the missing tooth root which could lead to misalignment among the surrounding teeth and in the jaw bone. Dental implants are small titanium rods that can be surgically inserted into the jaw to replace the root of the missing tooth. Once the rod is placed, a synthetic but realistic looking prosthetic tooth is attached. During the healing process the jawbone will grow around the implant, cementing it in place. The implant can completely replace the natural tooth in both form and function. Dental implants are more expensive than dental crowns, but are the more natural looking and feeling alternative. Whichever method of tooth replacement you choose, it’s important to go to a dentist that can not only perform the dental work needed, but employs a caring and comfortable approach. The dentists at Dental Group West can help you restore your smile using Sedation Dentistry techniques, which can eliminate the pain and anxiety of restorative procedures. Dr. Thomas, Dr. Poole and Dr. Weisenburger proudly serve patients throughout Toledo, OH, Bowling Green, Sylvania, Oregon, Perrysburg and the surrounding communities. Your Smile will Dazzle with Porcelain Veneers! There are many things that people wish to accomplish in their smile, and they may be willing to do almost anything to make it happen. Whether someone wants a perfectly aligned smile or a minor chip covered, there are many cosmetic procedures that are capable of making your smile look absolutely flawless. One thing that many people wish for when it comes to their smiles is perfect teeth. Though your smile has collected wear and tear over the years, you are able to reverse the hands of time! Our doctors are able to offer porcelain veneersto their patients in order to achieve the dazzling smile they have been wanting! One of the wonderful aspects of porcelain veneers is that they are very multitalented. They are able to cover up many flaws you smile, such as misalignments, gaps, stains, chips, and cracks. Another wonderful thing about porcelain veneers is that you are able to have a new smile in a relatively short amount of time, cutting out significant waiting time! A wonderful cosmetic treatment for many reasons, the results for porcelain veneers are unmatched! The first step to getting your porcelain veneers is a consultation with one of our doctors. They will be able to evaluate your smile in its current state, and determine whether or not porcelain veneers are right for you. You will also have that time to address any questions or concerns about the procedure, as we want you to be comfortable and well-informed throughout the entire process. If you are a candidate for porcelain veneers, we will make impressions of your smile and send them to a dental lab. The lab will make your veneers, and will be made with your smile goals and facial aesthetic in mind. Your natural tooth is prepared by removing a small bit of enamel, making sure there is space for your new smile. When your veneers are ready, they are applied and made permanent with dental resin cement. At the end, you are left with a dazzling smile! If you would like a new smile using porcelain veneers, contact our Toledo, OH dental office today! Contact our office in Toledo, Ohio today and schedule your appointment with one of our caring and experienced dentists. We are able to take care of whatever general, cosmetic, and restorative dentistry need you may have! Our patient-centered practice warmly welcomes families from throughout Toledo and the surrounding communities, including Bowling Green, Sylvania, Oregon, Perrysburg, and more. Comments Off on Your Smile will Dazzle with Porcelain Veneers! With summer just around the corner, many people are making sure they look their best for the summer season. Whether it is getting their hair done or they are in the gym getting their bodies ready for the beach, people are making sure they will be able to fully enjoy all the summer has to offer by feeling confident both inside and out. One thing people may be overlooking, however, is their smiles. There is no doubt you will reconnect with old friends and meet new ones this season, and making the best impression is crucial. Our doctors understand their patients wanting to look their best, and that is why they offer teeth whitening to their patients! We offer at-home teeth whitening to our patients. This form of whitening is extremely convenient for our patients, and it is able to be done in the comfort and privacy of your home. We will provide you with everything you need in order to transform your smile. You will get custom made bleaching trays as well as the bleaching gel. The whitening gel we will provide you with is professional grade gel, so you are sure to receive the best results possible. All you have to do is simply put the whitening gel in the trays, and wear them for the allotted amount of time every day. You will see beautiful results in a week, and full, dazzling results in about two weeks! With your smile brightened by six to ten shades, there is no doubt your smile will shine as bright as the summer sun this season! If you want to change your smile just in time for summer, make an appointment with our doctors at our Toledo, OH dental office today!